It never fails! 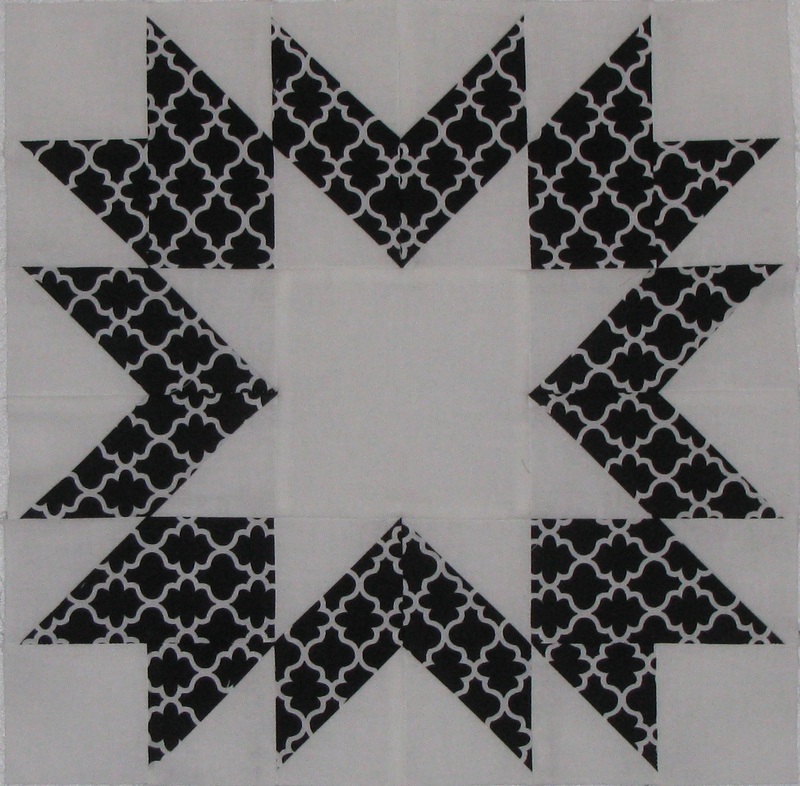 Every quilt I make, I make a mistake. Nothing to do but learn from it and move on. I would have had three more blocks completed, but one of them was too big. I accidentally set my needle position for my quarter inch seam too far to the right causing the seams to be narrower than they should have been. I didn’t discover it until the last few seams. Arrrrgh! 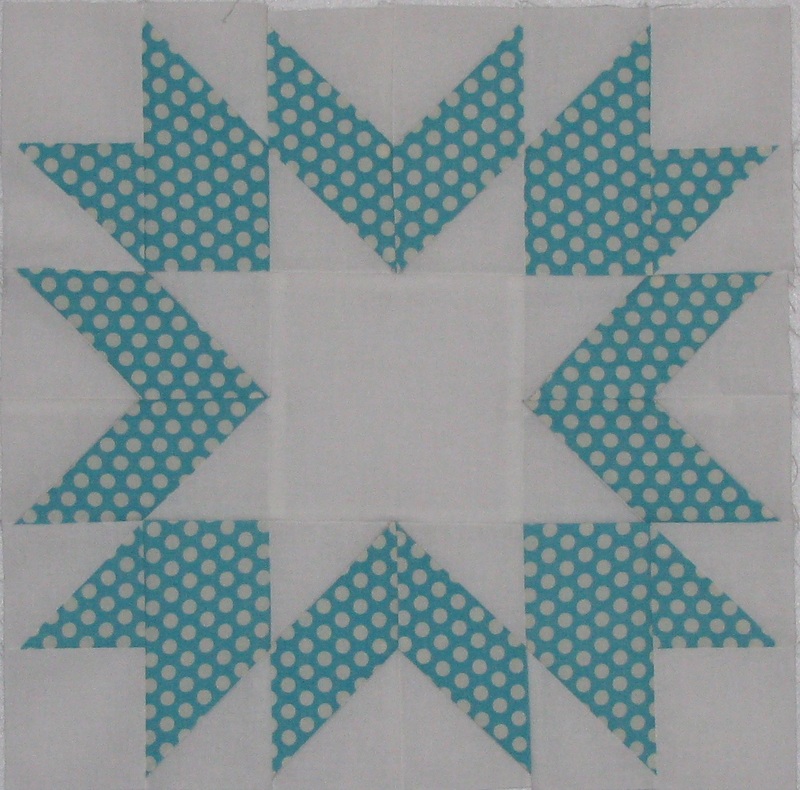 Fortunately I had enough of the fabric to cut another block, and so I move on. I really would rather do one block at a time because I like instant gratification. Unfortunately my druthers required me to change sewing machine feet and needle position. I thought I remembered the setting for the needle, but evidently I didn’t. So I changed my approach. I cut the pieces for the rest of the blocks, and then did all the diagonal seams for every block. Then I changed the presser foot and adjusted the needle position while carefully measuring to insure that the seam allowance was correct. I really REALLY don’t want a repeat of that mistake block. Then I started sewing the ¼” straight seams. I managed to complete two blocks, but the rest will most likely be finished up tomorrow. Here are the two I completed. 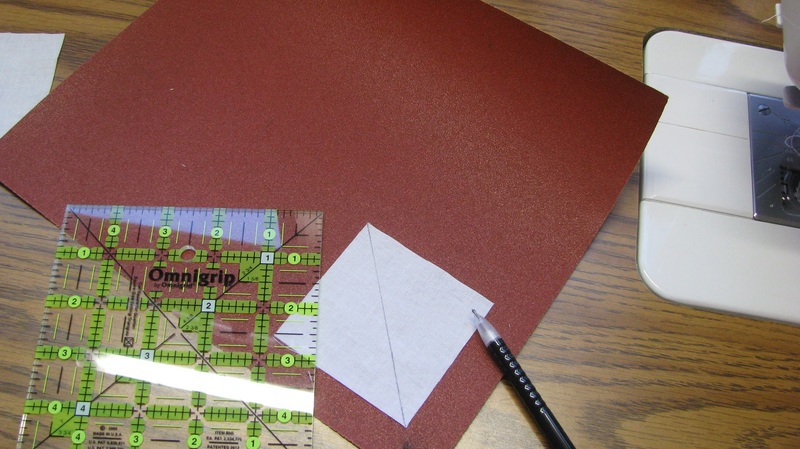 Quilting Tip: When you need to draw a diagonal line across a square of fabric, lay the fabric on a piece of sandpaper. The sandpaper keeps it from moving while you draw the line. Nice blocks. I don’t use my Janome for piecing anymore, because I have to remember to move the needle to get a correct 1/4″ seam. Instead, I use my vintage machines, since they get a correct 1/4″ seam. I do all the HST’s, then piece my blocks with the 1/4″. Easier for me that way.